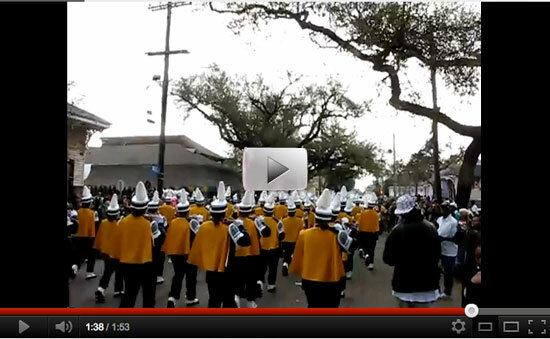 Here is the Southern University Human Jukebox parading on Jackson Avenue at Daneel deep in the hood takin up the whole street and rockin it from one side to the other. 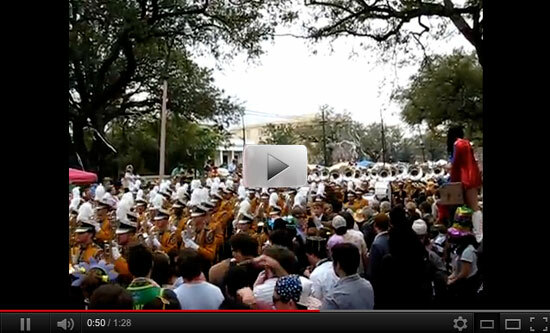 Southern is one of the finest college marching bands in the whole of the USA. And that’s it for the marching bands part of the program. Hope you got a feel for what it’s like to be there on the street for the excitement, ya just can’t buy entertainment like this. 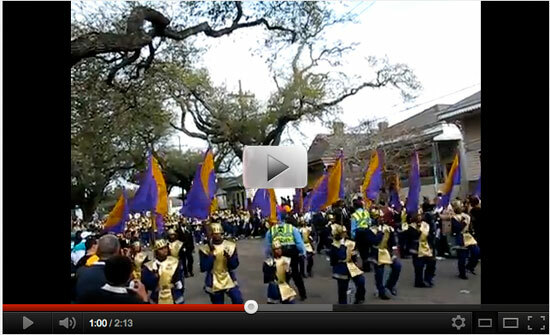 Stay tuned for more madness on a Mardi Gras Day….. 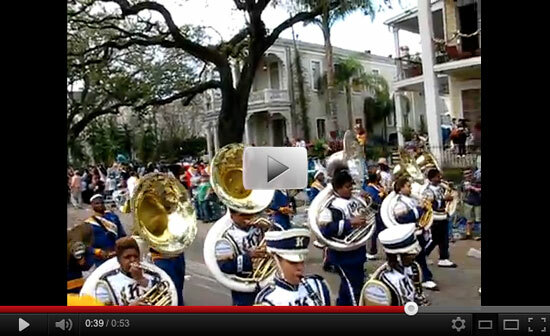 I LOVE marching bands. I even love them when they’re bad. But to see all these great ones right after another, I would be a in a coma if I were there in person! 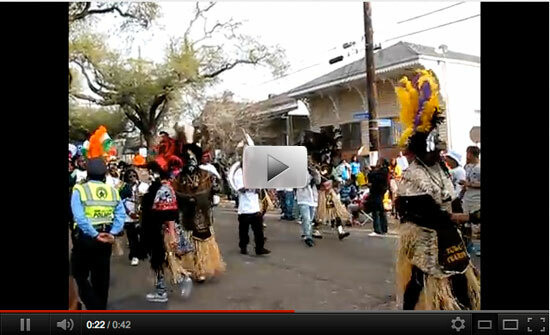 SO looking forward to all your Mardi Gras reports! Many thanks for the award, more adventures of the day to follow. I was lucky to get all the bands playing when they passed down the block i was in and was extremely happy and excited about that, i guess good timing and karma pays off. You can really feel it when the band is playing as they’re passing by you. Everyone was having a great time. Y’all come on down.